Learn Where You Live – Home Staging Courses Coming to YOUR Area! 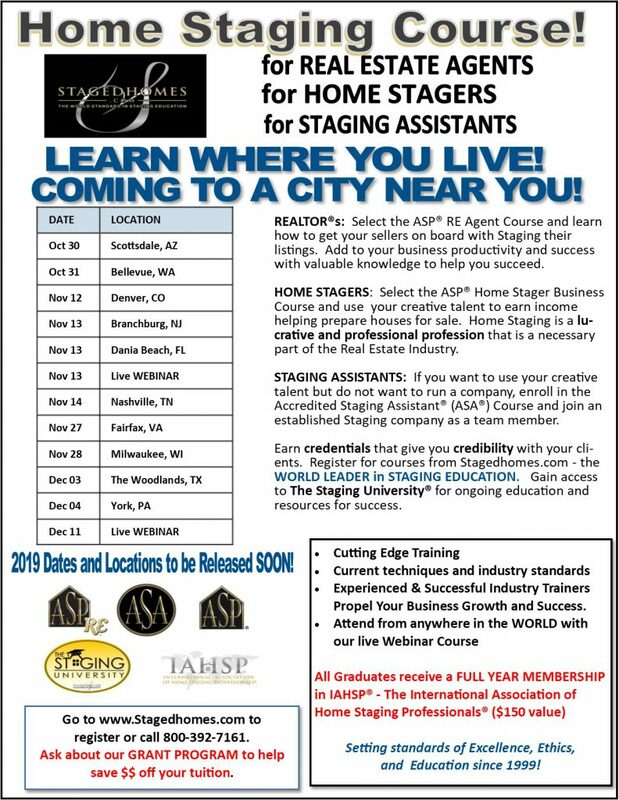 Stagedhomes.com, the WORLD Leader in Home Staging Education, is coming to a city near you! Check out our classes now through the end of 2018. We are lining up all of course locations for 2019, and are excited for where we will be teaching throughout the country. Don’t live near one of these cities or you live in a different country? You can take our LIVE WEBINAR – taught monthly by one of our expert Trainers. You get the same course information but can attend from the convenience of your home or office. To find out more, go to www.Stagedhomes.com or call 800-392-7161 or email [email protected].